1. 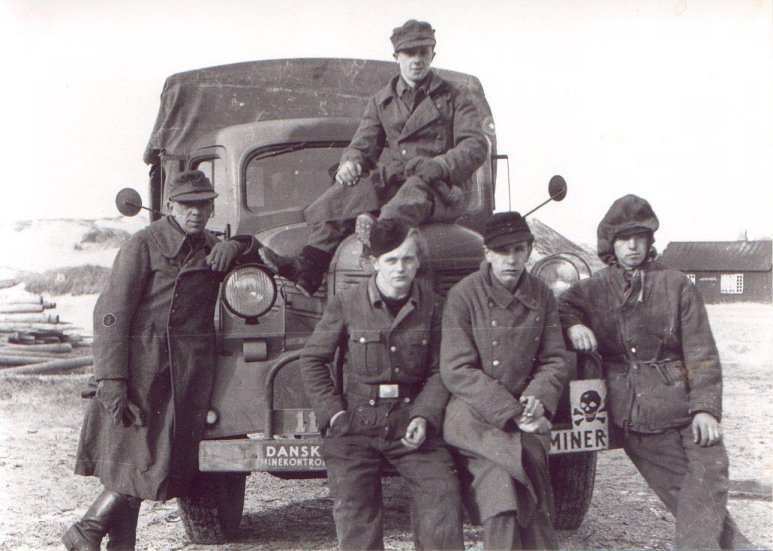 They considered the task of mine clearing to be too dangerous to personnel who did not have any experience with German mine types and the ways the were employed. 2. With the amount of mines the Germans has employed in each country the task would have taken many years to complete if the German pioneers hat not been assigned the task. A one Meter high barbed wire fence was erected around the minefield. 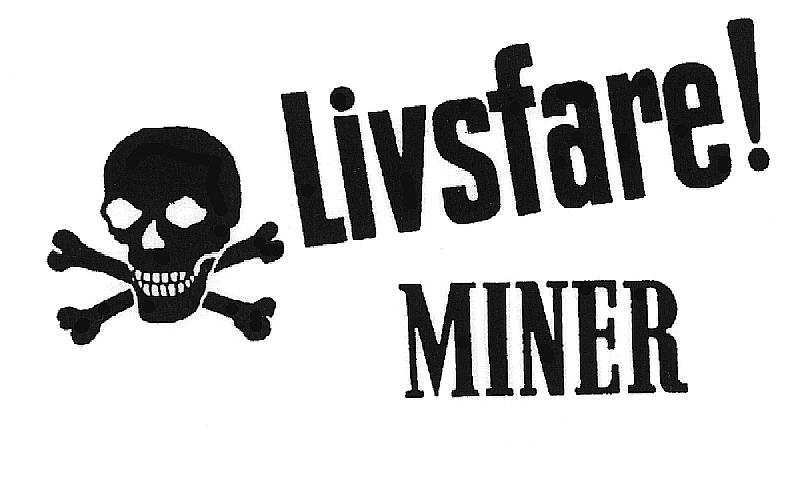 On the fence two meters apart was placed signs with a skull and the text “Livsfare miner“ (Danger mines - in Danish). The signs were white with text and skull in black the word “Livsfare” was in red. It measured 35 x 50cm. Fig. 1. 7,5 cm. 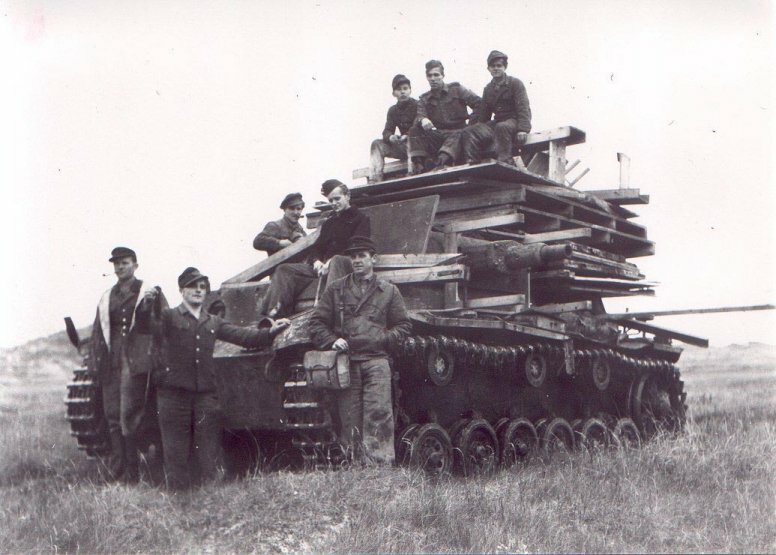 Stug III G Sd Kfz 142/1. At the repair shop in Oksbøl. Fig. 2. 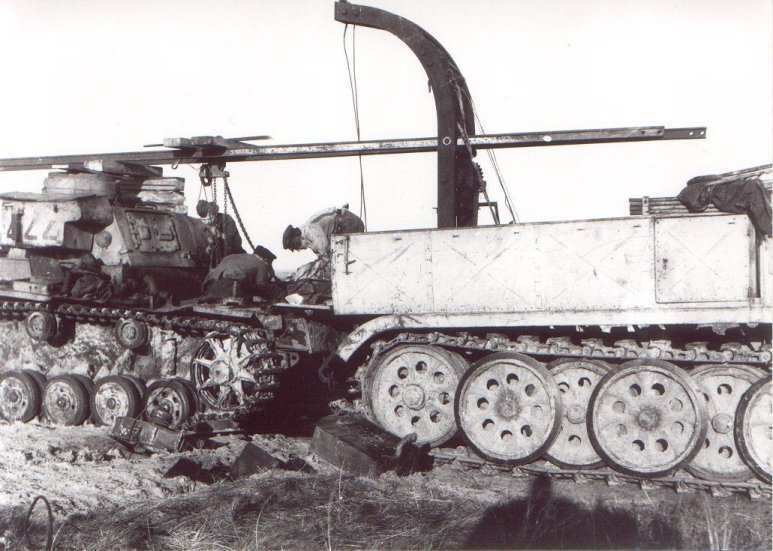 Blown up Stug III G Sd Kfz 142/1 with the gun removed. 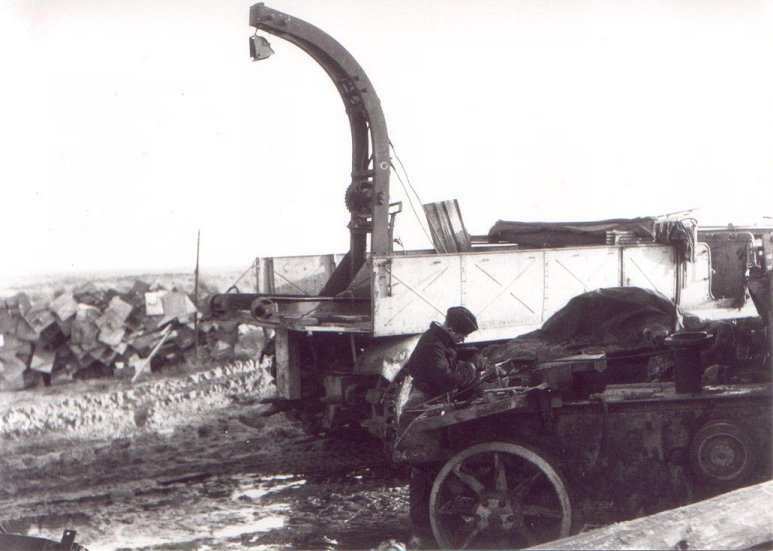 The hole was then covered up with some “Schürzen” from a Pz.III. Fig. 3. 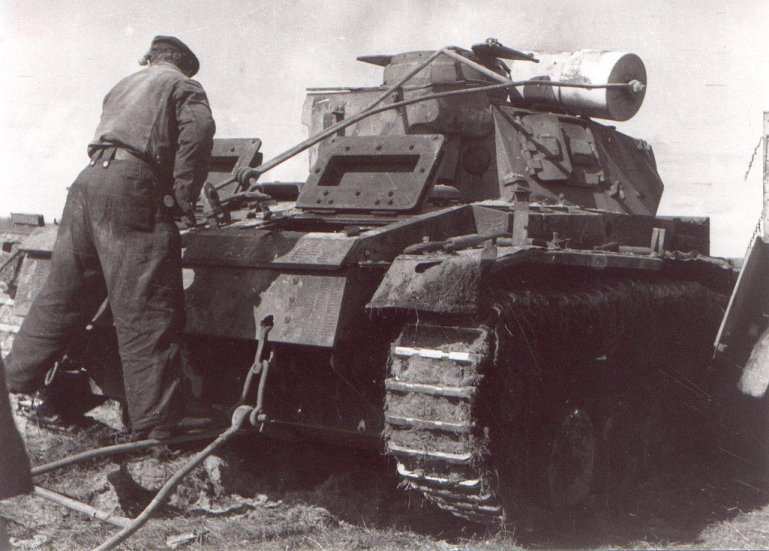 This one also hit a mine a Pz.III Ausf N Sd Kfz 141/2 under repair at Oksbøl. Note the way the hooks are placed on the hull. Fig. 4. 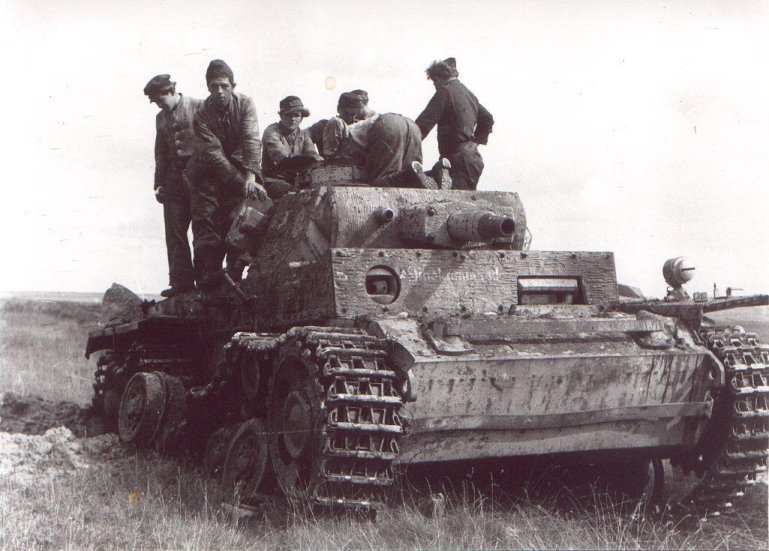 Pz.III Ausf N. Note the text "Minenkommando", and "Zimmerit". Fig. 5. 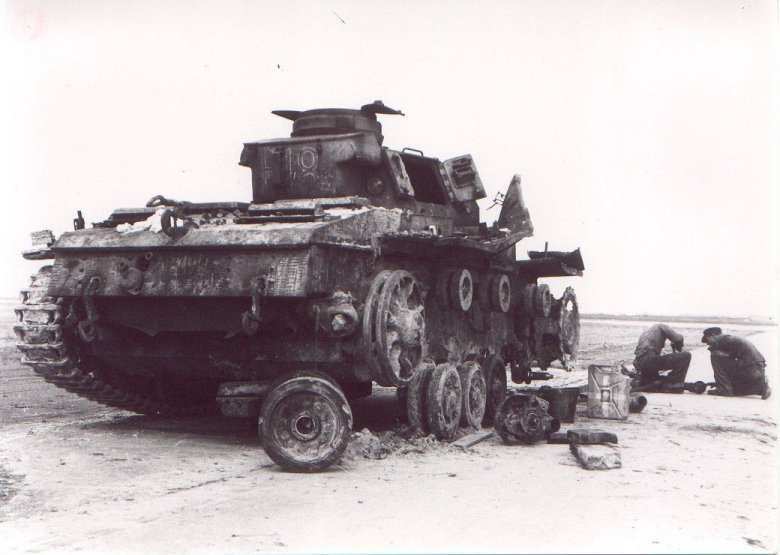 Another blown up Pz.III Ausf N, note the extra armour in front of the drivers seat and compare it with picture Fig. 4. Fig. 6. 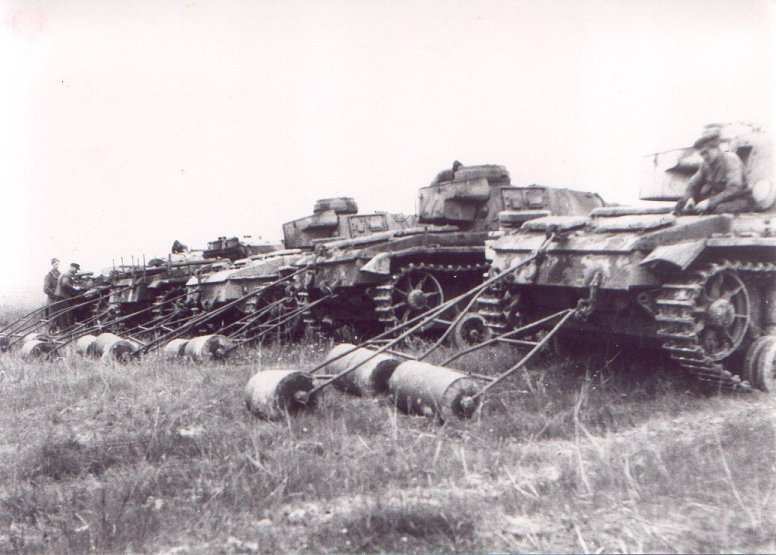 German pioneers/ Panzertruppen at Skallingen autumn 1945. 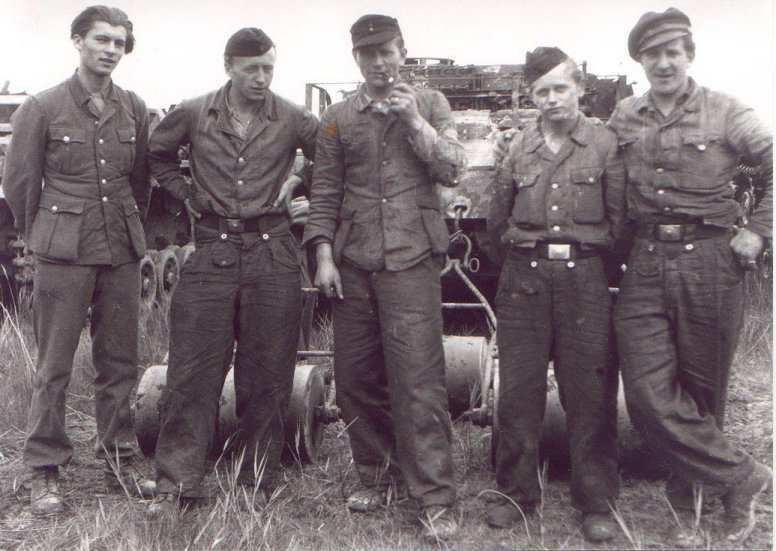 Note how the rolls are mounted and the very different clothing of the Germans. The denazifications process has taken place with the removal of the Nazi army eagle on their uniforms. Fig. 7. The entire group at Oksbøl ready to deploy. 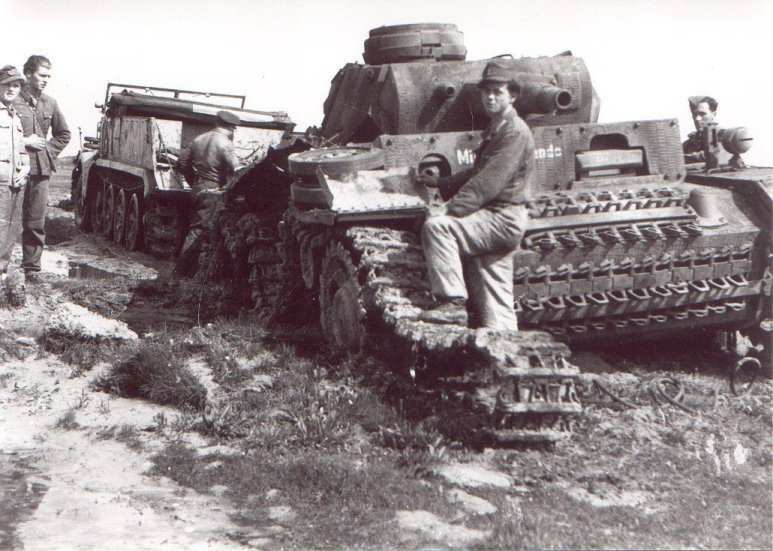 Three Pz.III Ausf N Sd Kfz 141/2 from 233 Pz. Div. Two 7,5 cm. Stug III G Sd Kfz 142/1 from Pz. Ersatz und Lehr Abt. 400, only one of them with armament the other one without. 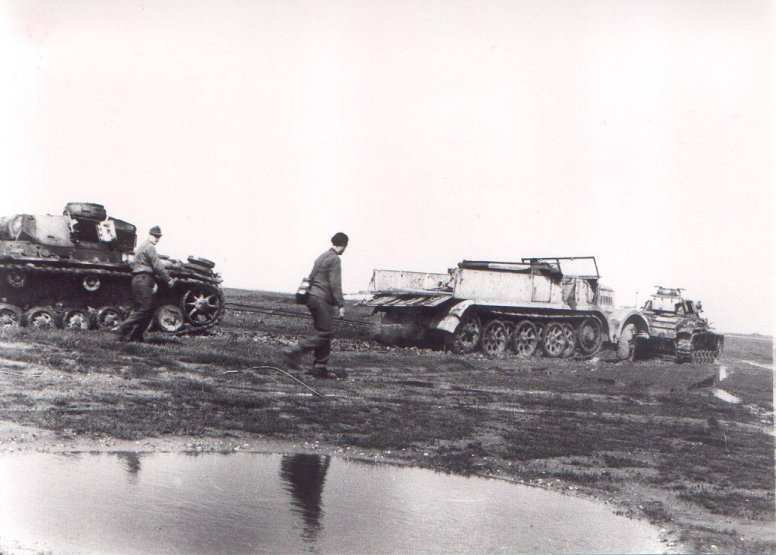 Beside that the group had a support unit of one Sd Kfz 251 Ausf D from 233 Pz. Div. and one Sd Kfz 9 "Famo" from ”Kriegsmarine”. Fig. 8. 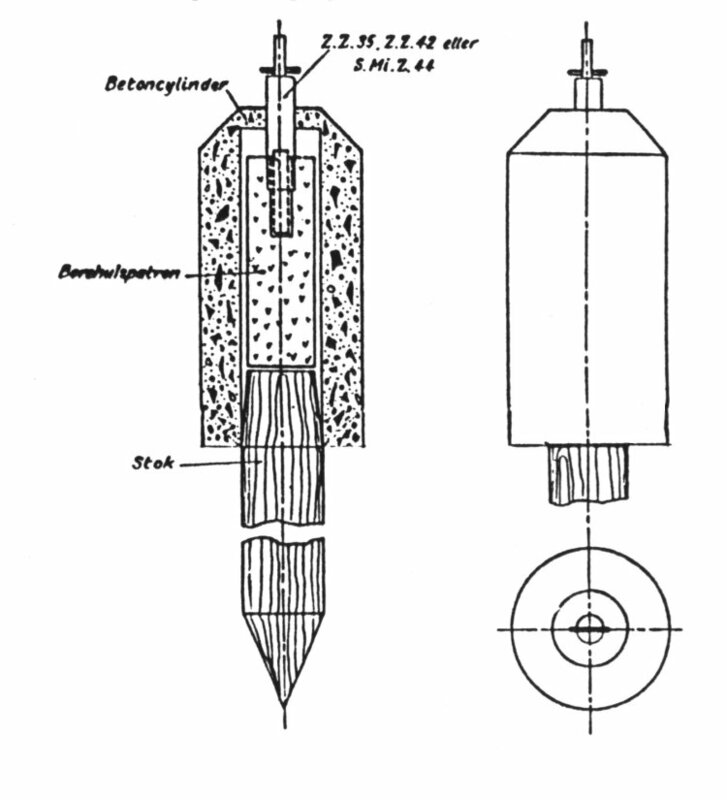 Mine detonation below one of the rolls during a control run. 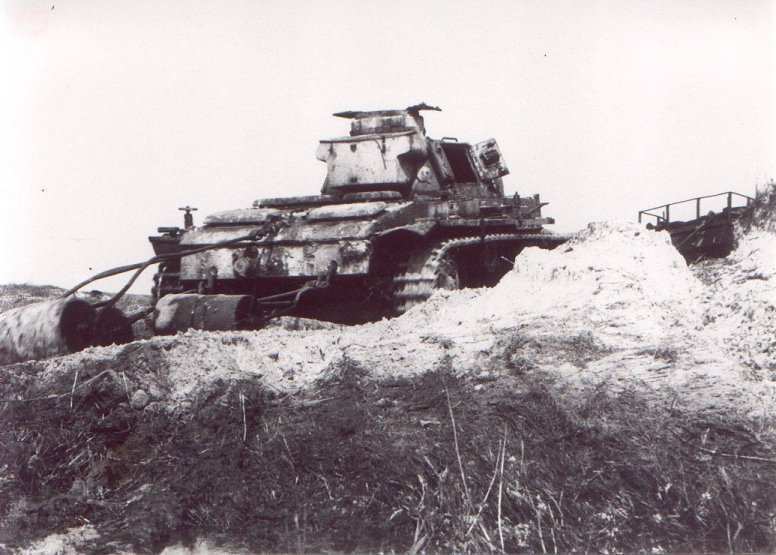 The rolls are blown up on top of the turret. Note how the rolls are mounted. This PzIII is today preserved at the Amory museum in Copenhagen. Fig. 9. Another engine had quit. Here has the "Famo" come to the rescue with the repair shop crane. This could be an exciting diorama with your new Tamiya “Famo”. Fig. 10. Details of the crane, which normally was placed at the repair shop at Oksbøl. But which was dragged out onto the “Famo” on occasions like this. Fig. 11. 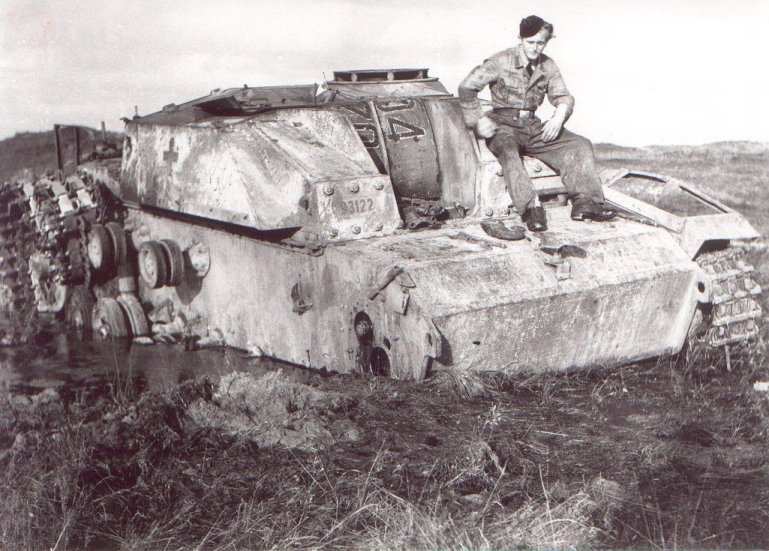 Even the ”Famo” did not always have power enough in the muddy fields and then another Pz. III had to step in. Fig. 12. 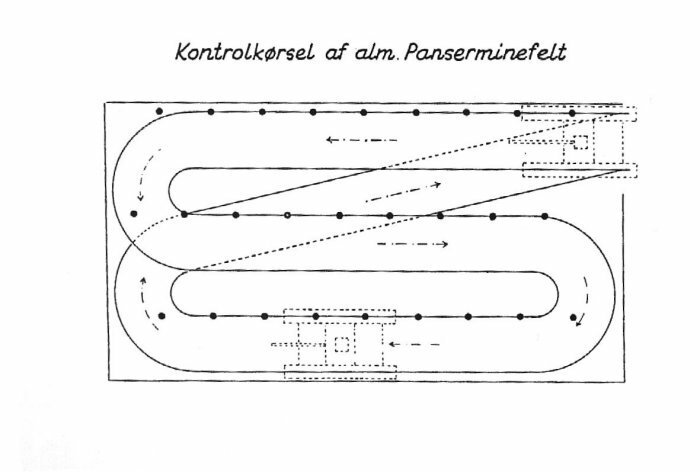 The groups "Famo" were an earlier Kriegsmarine vehicle. The licence plate says WM = Wehrmacht Marine. Fig. 13. 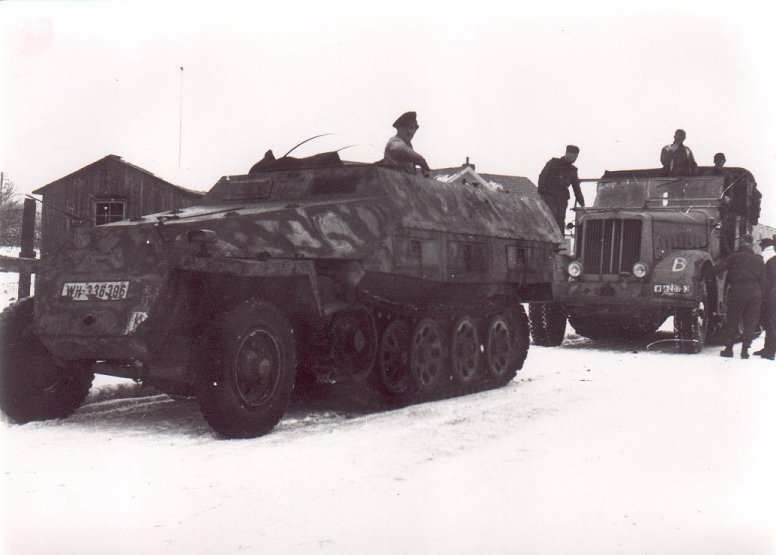 One Sd Kfz 251 Ausf D were used as the groups support vehicle. This Sd Kfz 251 Ausf D is also preserved at the Amory museum in Copenhagen. It was used until 1950, in the Oksbøl area. Fig. 14. 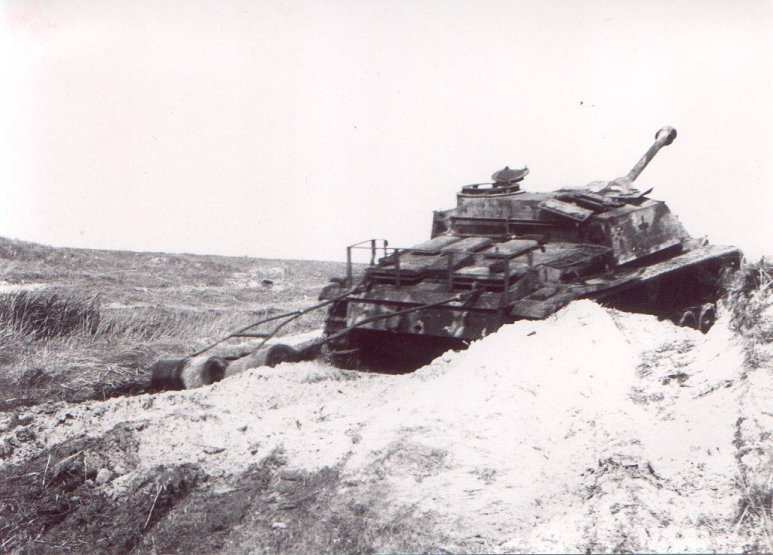 Pz.III under control run at Skallingen by Esbjerg. Fig. 15. 7,5 cm. 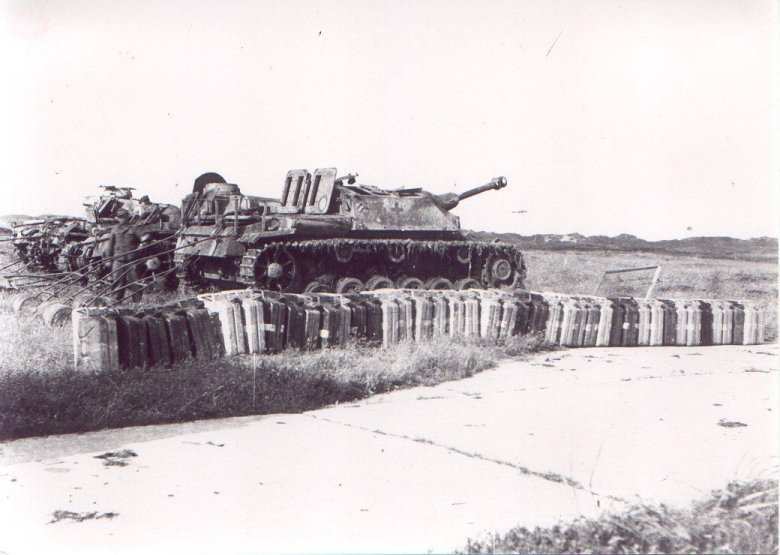 Stug III G Sd Kfz 142/1 under control run at Skallingen by Esbjerg. Fig. 16. Ready for deployment. Fig. 17. About 820 litters of fuel were consumed every day during the control runs. Fig. 18. German Pioners. 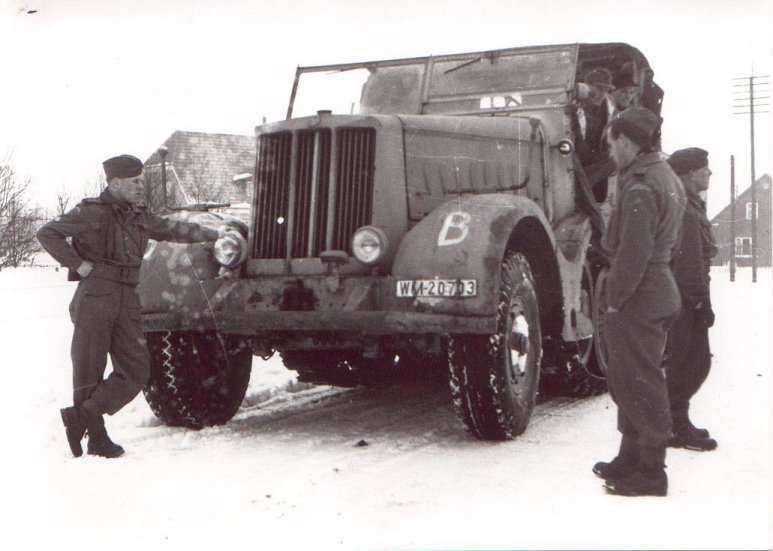 Again note the very different clothing, and the markings on the Danish army controller’s truck. Fig. 19. Mine warning sign. Fig. 20. How to do a proper control run in a tank. Fig. 22. 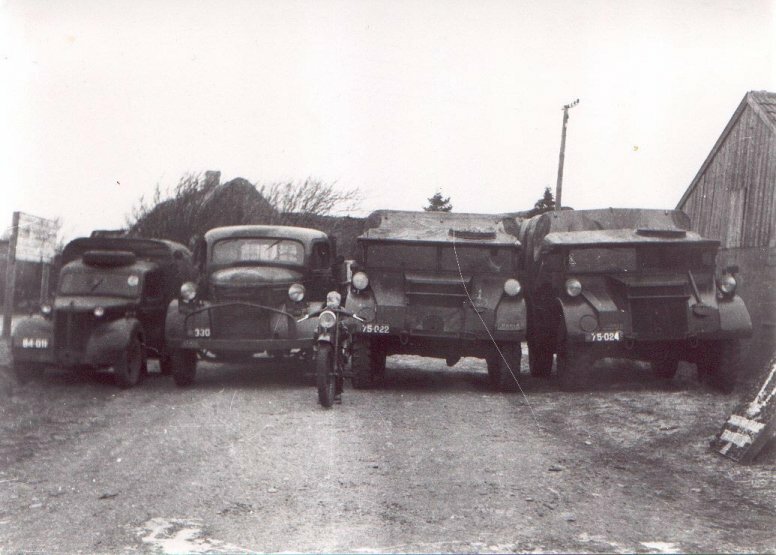 Vehicles of the Danish controllers. Fig. 23. A “real” Pz. 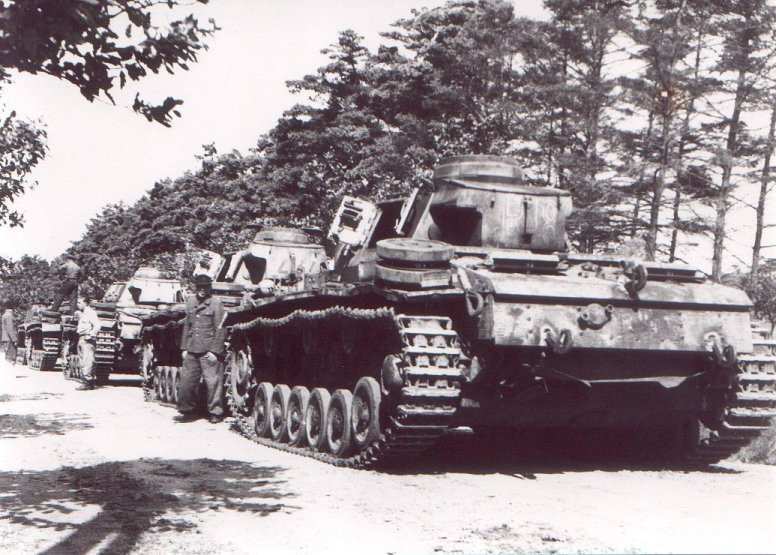 III Möbelwagen.